Creeping dogwood (Cornus canadensis) in flower. 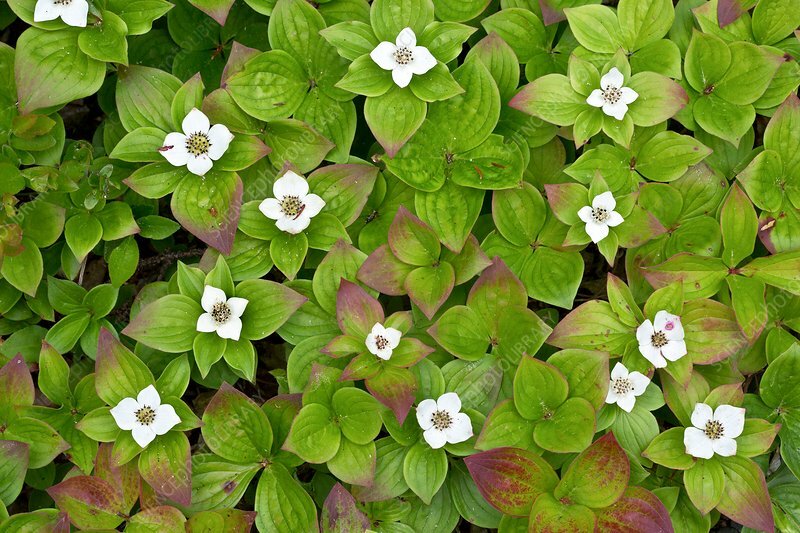 This plant is also known as Canadian dwarf cornel or Canadian bunchberry. Photographed in coniferous woodland in Newfoundland, Canada.